The Brendon Hills, part of the Exmoor National Park, are less well-known than the barren moorland to its west that gives the park its name. Here the landscape is a patchwork of lush, green fields and of woodlands bordered to the north by the sea. It is a quiet landscape with only the sounds of birdsong and the occasional farm vehicle to disturb its peace. It wasn’t always like this, however, for during the nineteenth century it was the centre of a great, albeit relatively short-lived, mining venture. Today, much of this has been forgotten. The West Somerset Mineral Railway was built to link iron ore mines with the seaport of Watchet for transportation to the steelyards of south Wales. 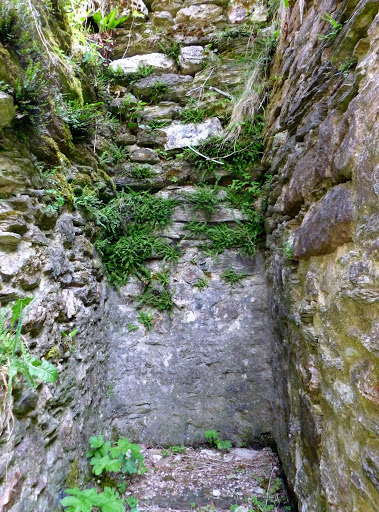 Much of its route can be walked and there are several ruins, some of national importance, that have been conserved. One of the most dramatic is the Incline, where trains hauled truckloads of ore – and passengers – up a 1 in 4 steep hillside, climbing 800 feet in just over half a mile. I have written about this feat of Victorian engineering in an earlier post and this can be found by clicking on the link here. A ruin less impressive than that of the Incline but no less extraordinary in its day is the Langham Hill Engine House built in 1866. All that remains now is the footprint of the building but a good idea of what it must have looked like and how it worked can be had from the artist’s impression by Anne Leaver shown on the nearby information board. The engine house was created to draw the iron ore from three separate workings to the surface by sinking a new shaft at Langham Hill. Powered by steam engines, the ore was pulled up to ground level by trams rising from a depth of up to 650 feet. The miners who had to descend by ladder were protected from falling by a series of wooden platforms upon which the ladders rested – if they fell they would only drop the length of each ladder, reducing the risk of serious injury. The steam engines also powered underground pumps to keep the shafts clear of water; this was filtered, stored in reservoirs and reused by the engines – an early example of recycling. Once the ore was brought to the surface it was tipped into trucks to be carried away by the railway. Another extraordinary feat of engineering was the aerial tramway that brought iron ore to Langham Hill in buckets from another mine over half a mile away. 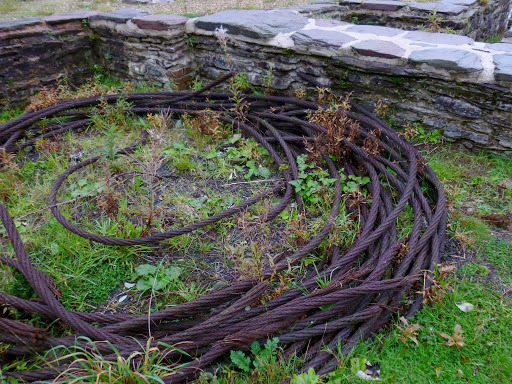 A length of the steel cables, which are over four inches in thickness, can be seen coiled by the engine house. The figures are staggering: the overhead cable was a single, endless 6700 feet length supported on wooden pylons, at times carrying the ore 300 feet above ground level and crossing a 2000 feet wide valley. No wonder the miners called it ‘the flying machine’. It is hard to imagine, when visiting the engine house now, the noise, bustle and industry that took place here just 150 years ago. 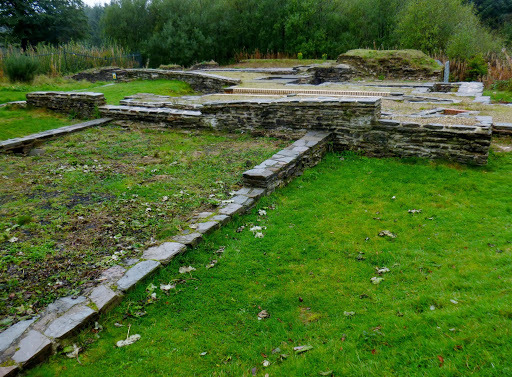 Two hundred miners and their families, mostly from Wales came to live and work here, yet within fifty years all mining had ceased. 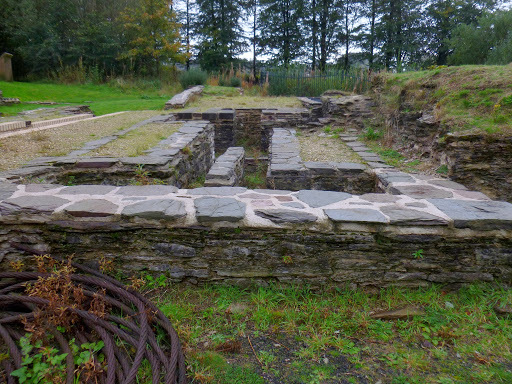 The engine house only survived for ten years: its engine and even the house itself, dismantled and reused in mines elsewhere. The aerial tramway lasted an even shorter time being in use for only three years before new transportation technology overtook it. 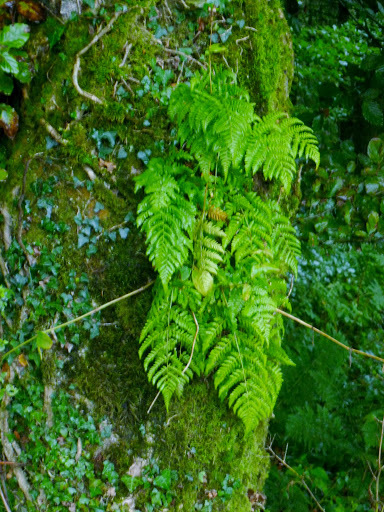 Today all is silent, the site surrounded by trees and ferns. For many years the remains of the mines remained hidden until the combined efforts of a number of individuals and groups fought to preserve them. The West Somerset Mineral Railway Project came into being and has succeeded in doing so; it has also created a permanent exhibition housed in the museum in Watchet. 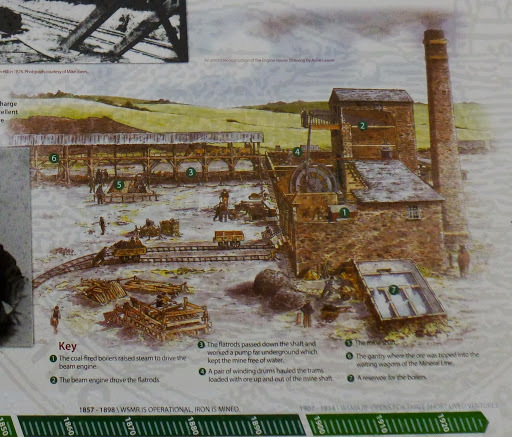 Its research of the history of the mines is available online – visit their website here. Very interesting, John, but wouldn’t the ore-laden trucks be lowered DOWN the Incline, rather than being hauled up it, with the passengers being used as part counterweight? I’ve added a few words to the bottom of the blog to clarify this with acknowledgement to Nigel and a link to Exmoor4All. Glad that the post has created interest and debate!